According to the label, these grapes were grown in a rugged, desert land in Patagonia, Argentina, that was inhabited for centuries by the fierce Mapuche Indians. The Mapuche had oasis sanctuaries which became holy sites called Quimay or blessed water. Today the vineyards are planted in many of these areas brought to life in a harsh terrain by the Mapuche’s blessed water. We recently returned from a trip to South America where we tasted many wines from Patagonia, Mendoza, Chile, and even Uruguay. My husband, feeling sentimental about Patagonia, saw this bottle of wine in a local liquor store and picked it up for me. 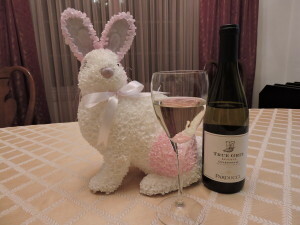 So, I decided to try it and share my thoughts about this chardonnay that doesn’t really taste like a chardonnay. This wine has a faint scent of ripe pear in the nose. At first taste, the wine seems bright and fresh with lots of acidity. But as it warms, it becomes more complex with a slight lingering finish. This is not an oaky, creamy chardonnay, but it is imminently drinkable and would stand up well to a lot of different foods. If you’ve been reading some of my recent reviews of Sonoma County wines, you’ll laugh when I tell you the wine was only $3 a bottle. Again, this was not my dream wine, but at $3 a bottle for a generic bottle of white wine, it wouldn’t hurt to keep some around for your next party for your less discriminating white wine drinkers. Parducci was one of my favorite wineries that we visited on a recent trip through Mendocino and Sonoma Counties. On the day we stopped by, we were the only ones in the winery and we got extra special attention. Every wine we tasted there was delightful, so much so that we joined their wine club. The nose on this wine is clean with mild scents of pear. It has a polished, yet rich style and the texture is somewhat creamy. I tasted slight summer fruit flavors. The finish is round and smooth, not incisive. The wine was aged in 100% new French oak, but the oak is not overly pronounced in this vintage. Upon drinking the remainder of this bottle the next day, I discovered the wine had even more complexity and flavor. Enjoy it with a roasted chicken if serving with food, or just enjoy it alone! 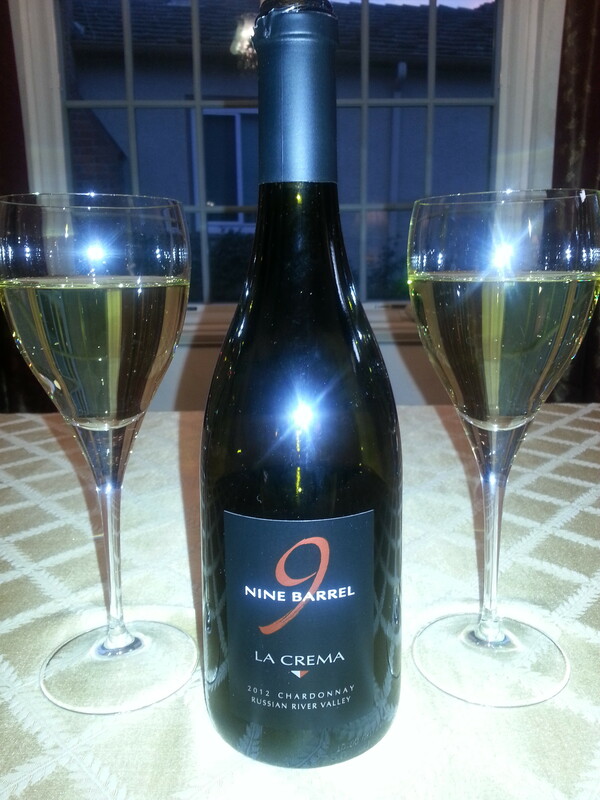 This is a blend of La Crema’s best chardonnays from nine of the highest quality barrels. According to the staff at La Crema, it is hand crafted, layered and expressive, a passion of the winemaker. We have tasted this twice at the winery and once at home and each time it has been an exceptional and delicious wine. I pick up notes of toffee in the nose, but my tasting partner smells sugary frosting. The color is lightly golden and the wine is clean. 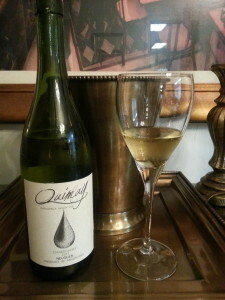 The texture is not oily and buttery, but it is creamy and complex with some acidity in the finish. I think the Russian River chardonnays always have a touch of butterscotch in the flavor, something I’ve really come to appreciate, and this one does as well. I also taste layers of caramel, vanilla, ripe pear and baked apple. It is 14.5% in alcohol. 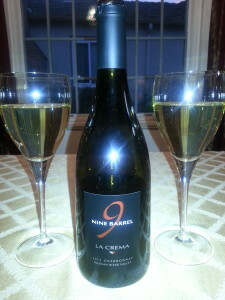 This is La Crema’s premium chardonnay and it retails for $70 in the winery or $59.50 for wine club members. This is a little high priced for my day to day wine budget, but it truly is a delightful chardonnay for a special occasion.